Acer amazed the world last September when it announced a laptop with a 21” curved display, a quad-core Intel Core i7 “Kaby Lake” CPU with an unlocked multiplier, two graphics processors, a mechanical keyboard, and other features of a desktop PC. 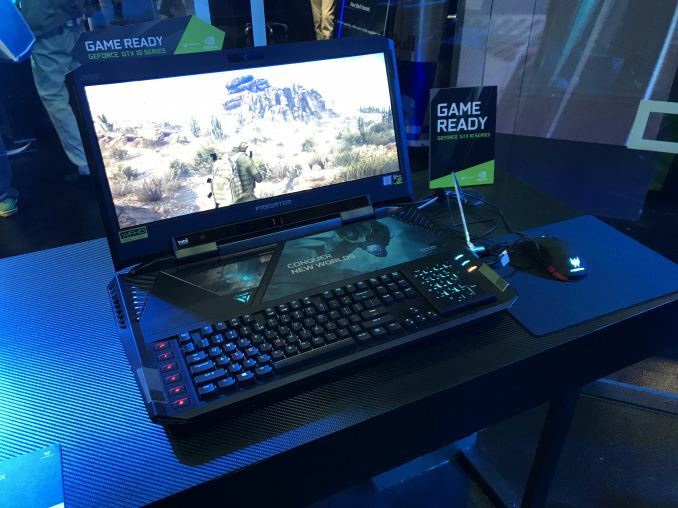 Then the company surprised once again, when it disclosed pricing of the Predator 21X in early January: at $8999, the machine is one of the most expensive gaming notebooks ever. 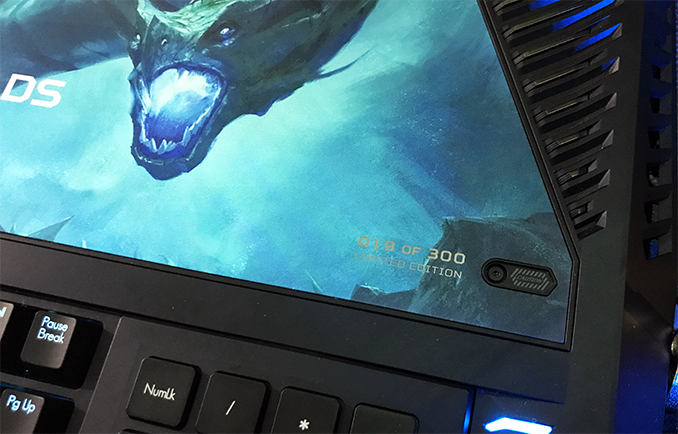 By now, the PC is available, but this Predator will be a rare beast because only 300 will be made. 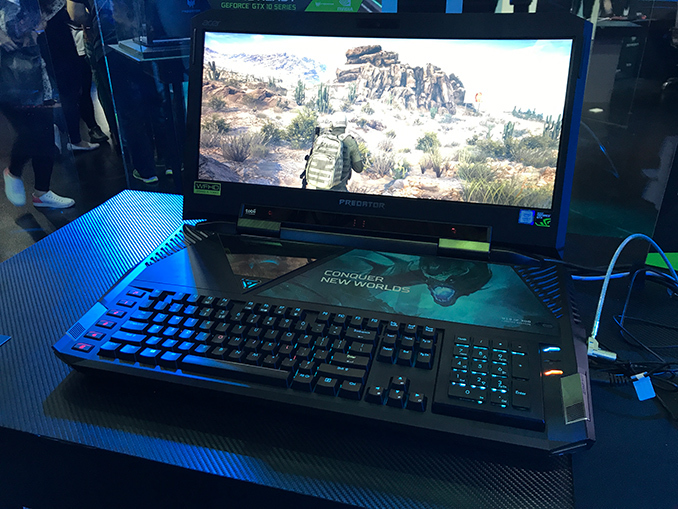 The final version of the Predator 21 X notebook got Intel’s quad-core Core i7-7820HK CPU with an unlocked multiplier and overclocking capabilities, two GeForce GTX 1080 GPUs with 16 GB of GDDR5 memor, as well as 64 GB of DDR4 RAM — specifications that even few gaming desktops can match. The storage sub-system of the Predator 21 X also resembles that of an SFF or AIO desktop: the machine can fit in four M.2 SSDs (NVMe or SATA) and one 2.5” hard drive. Acer ships the system with two 512 GB PCIe NVMe SSDs working in RAID 0 as well as one 1 TB 7200 RPM HGST HDD, but the system is upgradeable and owners can install almost whatever they want eventually. They key selling point of the Predator 21 X is its curved 21” IPS display panel with a 2560×1080 resolution, a 120 Hz refresh rate, and NVIDIA’s G-Sync dynamic refresh rate technology. After trying out the Predator 21 X at Computex, I cannot say that curvature on a monitor of this size is any more immersive to me, but it may work in a very dark room. In addition to curvature, the notebook also has Tobii infrared eye-tracking sensors, which opens up different user experiences in games that support the appropriate tech. Meanwhile the audio sub-system is also worth mentioning as it has four integrated speakers and two built-in subwoofers. As one would expect from a laptop that is 2.71” – 3.3” (68.8 mm – 83.82 mm) thick and weighs 18.74 lbs (8.5 kilograms), the Predator 21 X has all the connectivity that one might ever need (just like high-end desktops), including 2×2 802.11ac + Bluetooth Wi-Fi module, a Gigabit Ethernet port, one Thunderbolt 3 (USB Type-C) port, four USB 3.0 Type-A connectors, an HDMI 2.0 output, two DisplayPort 1.4 headers, and an SD card reader. For input, the Acer Predator 21 X uses a mechanical keyboard with Cherry MX switches with five programmable buttons. The numeric keypad does not have mechanical switches, but it can be flipped and turned into a touchpad. From performance point of view, the Predator 21 X has rivals from ASUS and MSI, but when it comes to its curved 21”/120 Hz display panel, it does not really have direct competitors (except desktops, of course). Meanwhile, the panel itself is custom, which adds to the cost of an already expensive machine. After considering performance, dimensions and price, Acer figured out that demand for a laptop that is priced at $8999 will be limited, and instead of trying to reduce the price tag, decided to make an ultra-exclusive product out of its Predator 21 X. The company will only produce 300 of such machines (referring to 300 Spartans? ), each of which will have an individual number. 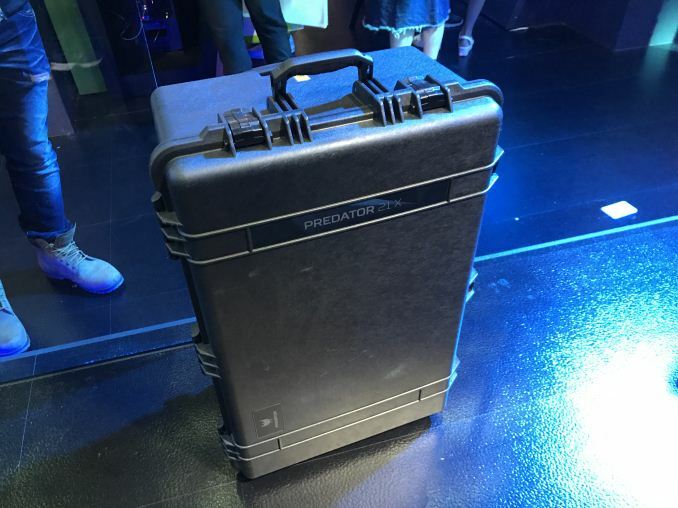 The Acer Predator 21 X will ship in a Pelican-style case that can be “repurposed” and actually be used as a luggage. Despite the price and dimensions, the Predator 21 X is sold out at Amazon.com in the U.S., but is still available from Micro Center and Newegg.